The past couple of weeks have been filled with “Greek food” at our house. I made some Chicken Gyros, then did a Ground Beef version. 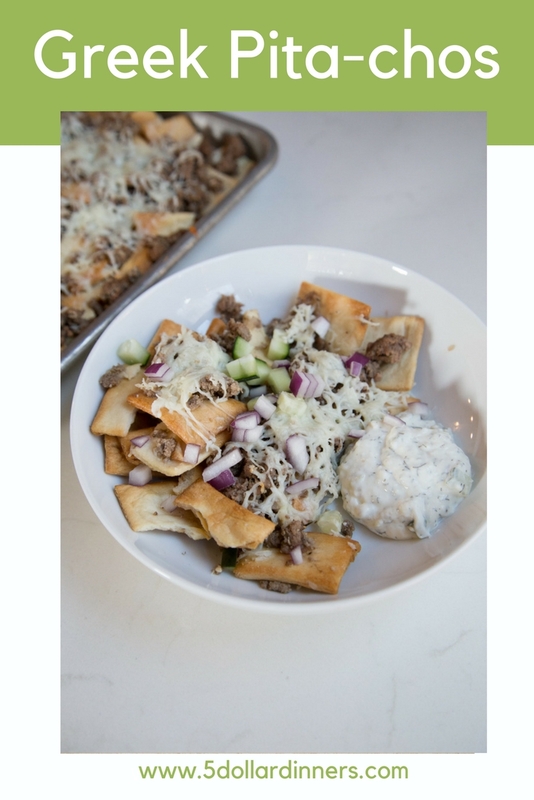 And while enjoying the Ground Beef Gyros, I had the idea to transform them into Greek “Pita-chos” – like nachos…with pita chips…with this very delicious, lemony ground beef on top. And then, took it “next level” and added some tzatziki sauce. It did add to the cost of the meal, but it really “completed” and complemented it well. But still…it was well under $10 for our family of 6…and was delicious too! In a large skillet, brown the ground beef with the minced onion and garlic powder. Drain and return to the skillet. Stir in the lemon juice, red wine vinegar, minced garlic and oregano. Let simmer over low heat for 5 minutes, to allow flavors to mingle and marry. 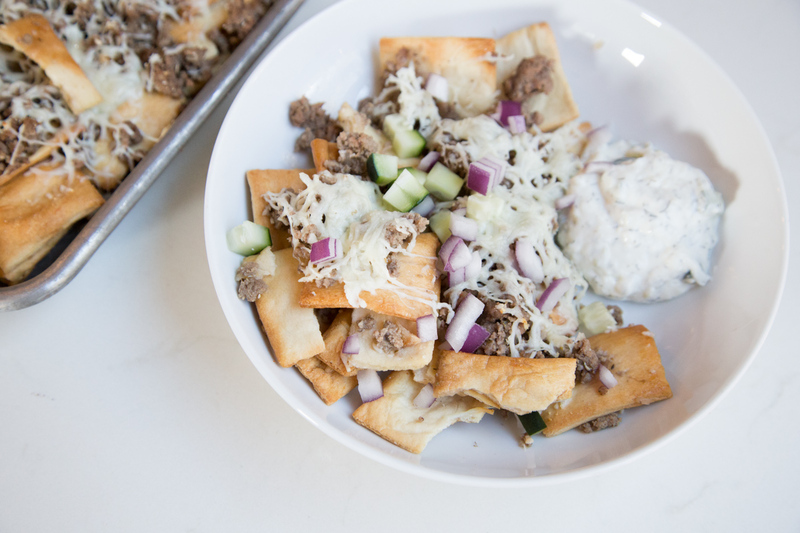 Spread the pita chips onto lined baking sheet, then sprinkle the Greek-flavored ground beef over the pita chips and sprinkle the shredded mozzarella cheese over the top. Bake in the preheated oven for 10 minutes, or until cheese has melted. Top with sliced red onion and cucumber. Add a side of tzatziki sauce for full flavor effect! Serve Greek Pita-chos with side salad.